What's happening to our love of pasta? Mine's still as passionate as ever, but it seems I'm alone. 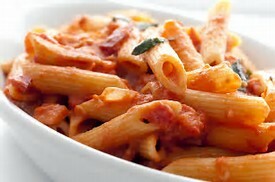 UK supermarket suppliers are reporting a slump in pasta sales, with shoppers spending less on the product than before. Brits spent £4.5 million less on it in this year up to July, compared to the previous period, ending four years of booming sales. 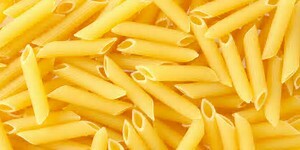 We ate 1.3 million lbs less spaghetti and 9.7 million lbs less dry pasta shapes. Is the 'spag-bol' on its last legs? This surprising slump in pasta sales comes after price cuts in supermarkets have failed to boost demand and this decline in sales has also hit the sales of sauces, which are down by almost £23 million, according to shopping analysts. Witness the big discounts on sauces in the supermarkets presently. Now is the time to stock up, I say. The Grocer magazine is reporting that pasta and pasta sauce sales are close to being in crisis, with growth a real struggle. While sales of the cheap own-brand pasta are just holding up, supermarkets are cutting back on the more expensive fresh premium quality brands (the only type I eat!). Shoppers are putting more of a focus on lower prices, resulting in customers being more inclined to buy cheaper supermarket own-brand lines to get more value for money. That's sad - if there is one product on which I will not forfeit quality, whatever the price, it's my beloved pasta! I'm sure my Italian readers will agree.